The first thing anyone notices about your business is your website. 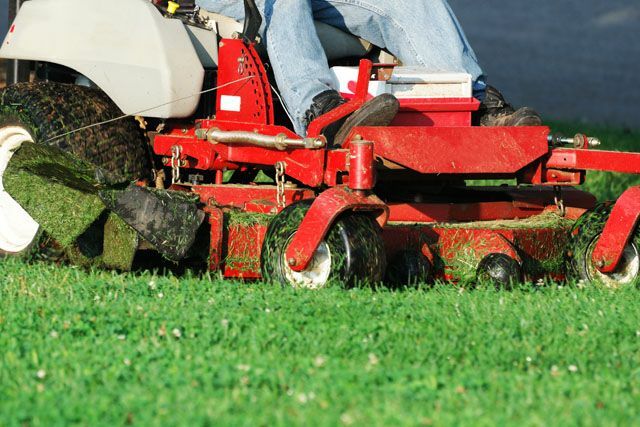 The second thing they notice about your business is your lawn and landscaping. At A Great Choice Lawn Care and Landscaping, we understand that there is so much that goes into making commercial landscaping aesthetically pleasing and successful. There is no one size fits all solution to great landscaping. Just as flowers that bloom beautifully in the summer are meant to look beautiful all summer, they’re not meant to look so good in the winter. What so many business owners neglect to remember is that what looks good during the warm months might not look so good when the temperature drops. The goal is to create a lovely landscape that is pleasing throughout the year because it can withstand the heat of summer and heavy cold of winter. It is not an easy task, but it certainly is not impossible. Our professionals have ample experience, knowledge and skill when it comes to designing landscapes that survive the cold winters we have in our area. Fortunately for our customers, A Great Choice knows exactly what works and does not work from the summer into the winter months. Commercial landscaping has never looked better than it does when you utilize our expertise helping you create a visual for your customers that is pleasing year-round. We have several options for you that all have one thing in common; your landscape has never looked better. If thoughts of sugar plums dancing and fires crackling, leaves changing colors and crisp, cool air have already permeated your mind, you are not alone. There is a magic to fall and winter that only the holidays can bring about, and we all get just as excited each year for the fall and winter months. Before you go out and pick your pumpkins, light the apple scented candles and break out your boots and blanket scarves, it’s time to preparing your commercial landscaping for the cold that it’s not quite ready for. Just like you have to prepare yourself and your home for the change in temperature, your lawn deserves the same thought. There are many different ways to prep the landscaping at your office for the coming months. The best, however, is simply to allow our landscape professionals to customize a landscape design that works throughout the year. We love to plant vibrant blooms that flourish all spring and summer and disappear for the winter months only to reappear again when the temperature rises. It’s clean, efficient and it’s always going to ensure your lawn looks lovely. However, there are other things you can do if you prefer a different method of landscaping throughout the warmer months. Plant Chrysanthemums – if you’re like the rest of us, you find that you miss the beautiful colors of vibrant flowers throughout the fall when they die off and leave behind boring bushes. These gorgeous flowers bloom heartily during October, causing your office to look lush and lovely. The great news is that you can pick and choose your favorite fall hues when it comes to planting these gorgeous flowers, and you can expect that they will live through anything. They are tough, hearty and ready for anything. Update Your Drainage – Another of the most important things you can do to update your lawn for the winter is to consider your drainage. It’s not a big surprise that snowy days and wet weather can cause drainage issues that kill off your landscaping. What you don’t want is to end up with standing water or dirty slush when the temperatures rise and things begin to thaw. Our customized drainage concepts can help you prevent this unsightly issue from occurring in your office’s landscaping. Consider Snow Storages – We don’t mean that you have to consider where you plan on keeping your snow during the winter. What we mean is this; where do you want to store (or plant) items that bloom during the winter, die off during the summer so that they are not noticeable and bloom again during the winter for a vibrant lawn or vice versa? What you plant here are hearty plants that grow during their appropriate time of year and can be cut down and back so that they don’t take up any of your valuable landscaping the rest of the year. Consider Your Salt Usage – The frustration that comes with salting your walkways and driveways at home is one thing, but to add to that the office is another. The best course of action is to remember to find salts that are not as harmful to plants as others. The more you use it throughout the winter, the more it kills off the plants that are designed to grow back during the summer. 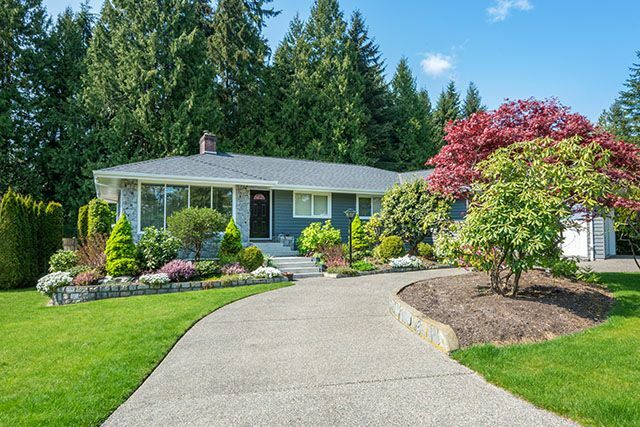 This is a costly mistake in that your landscaping could become destroyed and you will need to go through the expense of replanting and redoing everything at the end of the season. If all this seems overwhelming, don’t worry. We know that the concept of planting for one season is stressful enough for those who don’t have the time or the knowledge to deal with landscaping. Adding in a secondary season is almost too much. The professionals at A Great Choice are here to help you with your winter commercial landscaping needs so that you can start your holiday list, plan your vacations and focus on the enjoyment that is so abundant during this season. At A Great Choice, we understand that some things are better left to the professionals. We are knowledgeable and experienced when it comes to ensuring your commercial landscaping is pristine all year. Call us today so that we can take a look at your landscaping needs, create a custom design and help you prepare your business for the oncoming fall and winter. Don’t let your clients see your business looking less than professional; call us now.